And the whole thing with Zack’s dad? Okay, cool, I can appreciate that he has spent his whole life trying to emulate his dead-too-soon father. But it felt SO cheap to reveal Surprise! He’s been alive, fighting aliens on the moon this whole time! But whoops, Not Surprise, of course he’s going to die after reuniting with his wife and child. Boring. It might have been interesting if he’d turned out to be a jerk and Zack had to process through that, but instead everything felt very formulaic. And the plot “twist”! Awful. WHY IN THE WORLD would aliens go to all that trouble to test to see whether humans are capable of peaceful relations? And even IF I accept that, why does one person’s actions (against orders) make the aliens trust humanity at large? Just because Zack did the right thing does not negate the fact that 7 billion other people were trying to wipe out the alien drones. Dumb dumb dumb. Clearly I was not a fan, which is a shame, because I really enjoyed Cline’s Ready Player One. I dunno, did I miss something? 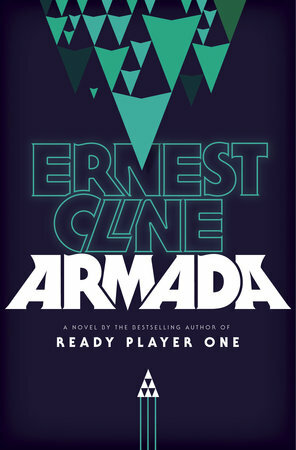 Have you read Armada and loved it? Please explain! Sounds less an attempt to copy the success of Ender’s Game by Orson Scott Card.